R3F NFC Smart Rings work with any smartphone, tablet, door lock, or other device that has NFC tag capabilities, primarily Android and Windows Phone platforms. While some iPhones have NFC functionality, they do not currently have NFC tag functionality. This may be enabled at a later date, but for now they are not compatible. These are waterproof and dust-proof and resist damage due to falls. 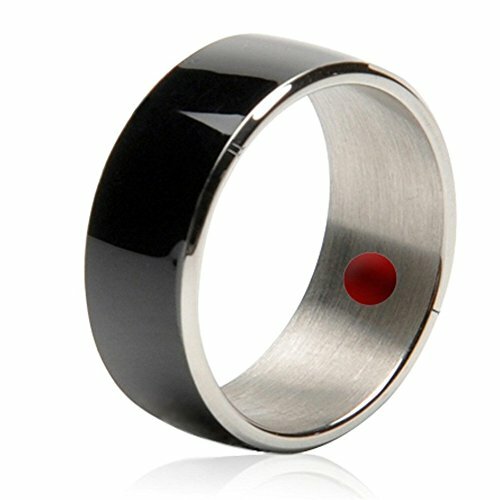 These work by utilizing an app such as the Jakcom Smart Ring App or many other free third party apps available in the Play Store that function as NFC Tag Readers/Writers. They program a task to be associated with the NFC chip of the ring (this ring has two separate chips and therefore can be set with two separate functions). The tasks are carried out when the NFC chip of the ring is touched to the NFC reader of the phone (tapped on the back of the phone). The possibilities are limitless and easy to set up using a free application. Get creative.